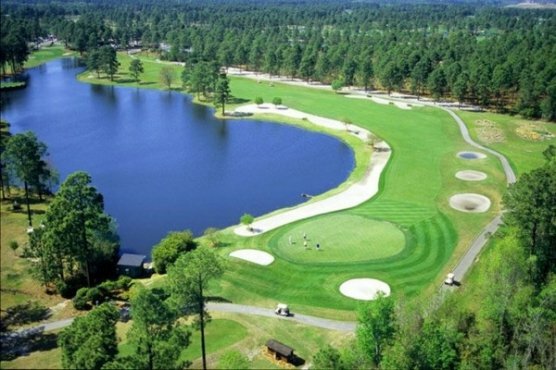 When playing any of the beautiful golf courses in the Myrtle Beach area the first thing that you do is pull up to the bag drop area. This is usually the first interaction that you have with the personnel of that course. The ideal bag drop attendant should greet you with a smile, be friendly, courteous and helpful. When you play Eagle Nest Golf Club you will receive all of this and much more when you meet Darby Decker. Darby is from State College, Pa. and moved to Myrtle Beach in 1991 to attend Coastal Carolina University. Having grown up playing golf, Myrtle Beach was a perfect fit. After getting his B.A. degree from Coastal as a history major with a sociology minor Darby became the Rules Official for the Sunbelt Senior Tour. While serving in this capacity he encountered many very talented players, characters and situations. His knowledge of golf, the rules of golf and his education in sociology made him an outstanding rules official. After leaving the Sunbelt Tour, Darby became the starter and bag drop attendant at Eagle Nest Golf Club in Little River, S.C. and he has held that position since 2002. Once again, all of Darby’s previous experiences have served him well at Eagle Nest. The golfers who play there and return time after time all appreciate Darby’s professional attitude, knowledge and help. Darby shares his life with Jessica Passwaters, who he met while at Eagle Nest and their beloved dog Gallo. One of Darby’s best experiences while at Eagle Nest occurred when his friend and PGA professional Kent Chismar hit the lottery in November 2010. Kent retired at that time from Eagle Nest and went on to fulfill his dream of living in the Charleston, S.C. area. Darby says the weather is his favorite thing about living at the beach. His favorite golf course in the area is the Heritage Golf Club and his favorite restaurant is Joe’ Bar & Grill. He also enjoys playing golf and watching sports, especially his favorite teams, the Houston Texans and Penn State football. Darby has enjoyed his time at Eagle Nest and says that it is never dull, but that he meets so many nice people and enjoys helping them so much that it makes the job very enjoyable. His plans for the future are to one day retire and play more golf. Of course if he is as lucky as his friend Kent, this might happen sooner rather than later. Good luck with that Darby! The next time you are visiting the Myrtle Beach area be sure to include Eagle Nest in your course selection and you will be greeted by this very special person. Eagle Nest is truly lucky to have him.